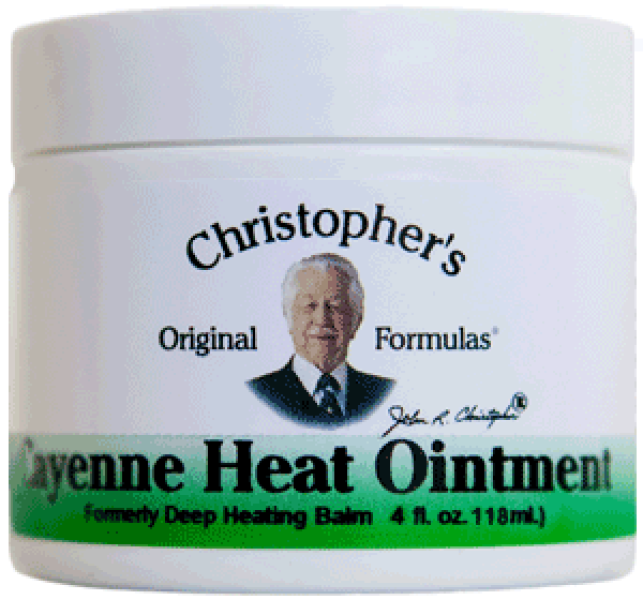 Dr. Christopher's Cayenne Heat Ointment, a wonderful product for stiff necks, sore muscles and joint pain. It brings heat to areas that need it the most. Dr. Christopher's Cayenne Heat Ointment, 2 oz. Description: Dr. Christopher's Cayenne Heat Ointment is one of nature’s principle based formulas used historically to help promote the relief of sore and tense muscles and joints. Brings heat to areas that need it the most. When used in combination with Complete Tissue & Bone Ointments or Oils, it helps to speed up the process in which the body uptakes the regenerating components of the Complete Tissue & Bone Formula. Externally: Apply liberal amounts to area and massage, if needed or as directed by your health care professional. 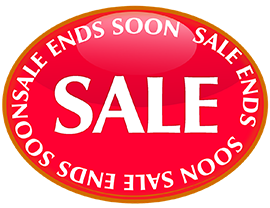 For optimum results: When used if conjunction with Complete Tissue & Bone Formula (or other healing ointment), first work the Complete Tissue & Bone Ointment or massage oil into the area, then work the Cayenne Heat Ointment or oil in the area. Special note: The Cayenne Heat Ointment acts as a rubefacient, which draws the blood to the surface of the skin. This is normal for this type of ointment. If the “heating” effects are too hot, use olive oil (or other high grade vegetable oil) to dilute the Cayenne Heat Ointment. Just massage the olive oil in the same area as the Cayenne Heat Massage Oil. Do not attempt to wash the balm off in the shower or with water. Water intensifies heat!